Are you ready to spend one or two weeks in June (15th- 28th 2015) talking German and playing handball? 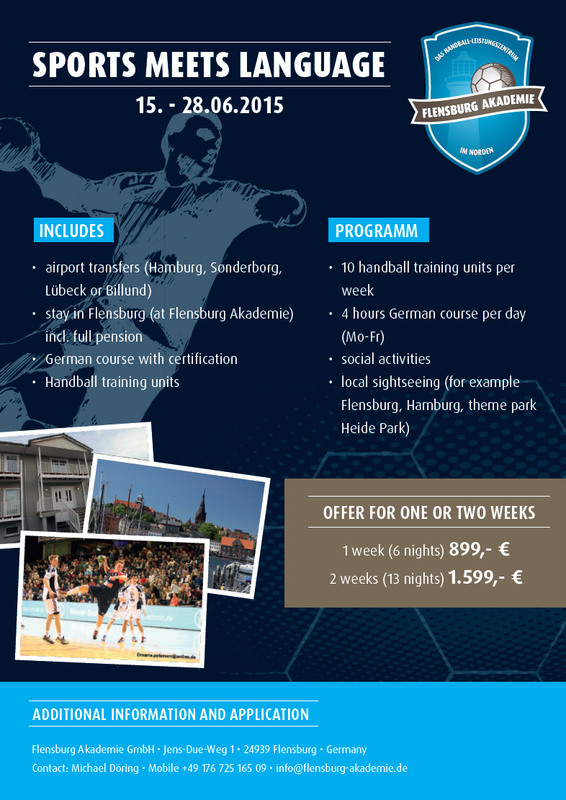 If yes, Flensburg Academy and SG Flensburg-Handewitt now offer you the opportunity to experience the workday in an European top club and improve your German and handball skills at the same time! We can offer you all of the above mentioned for 899,- euro for 1 week (6 nights) and 1599,- for 2 weeks (13 nights). If you having questions contact Michael Döring. We hoping to welcome you in Flensburg.